Glow From Within and Win! Yes, you may know of some people that get facials constantly…do the chemical peels…buy all the expensive “beauty creams”…and some even go under the knife. I’m here to tell you that you don’t have to do any of that! Your skin is a reflection of what’s going on INSIDE your body. Which means, we have to consume the right foods for our bodies to be squeaky clean on the inside, so that we look squeaky clean on the outside. I’m not saying it’s going to be easy, but I will tell you that it’s SO worth it. And guess what else? Not only will your skin be flawless, but your hair and nails will be shiny and strong, and your body fat will begin to melt away too! How does that sound?! All you have to do is sign up to be in my Challenge Group and get yourself on the amazing Shakeology HD flavor of your choice! I will teach you how to eat properly in order to receive the maximum benefits out of the nutrients you’ll be putting into your body. We’ll be following Kimberly Snyder’s BRAND NEW Beauty Detox Foods book. 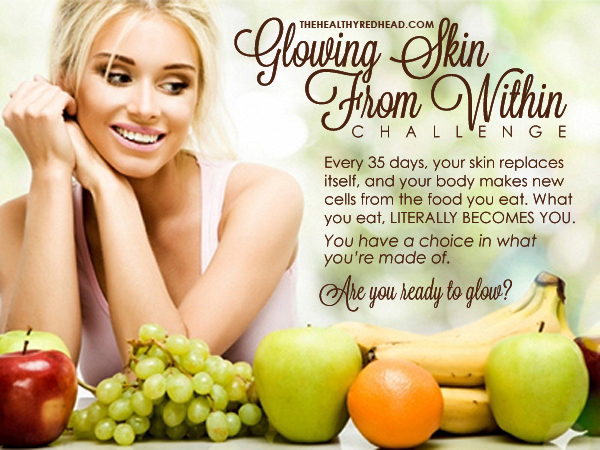 (the book comes out March 24th, which is perfect timing for the Glowing Skin from Within Challenge to start in April)! This group will help keep you accountable and motivated to get through the difficult times, and cheer you on in your triumphs towards a beautiful glow. But wait! There’s more! The FIRST THREE PEOPLE to sign up with a new order of Shakeology HD, will get a FREE COPY of The Beauty Detox Foods book! Pretty rad, huh?! So what’re you waiting for?! Hit me up on Facebook and we’ll get you all signed up in time for the April Challenge!